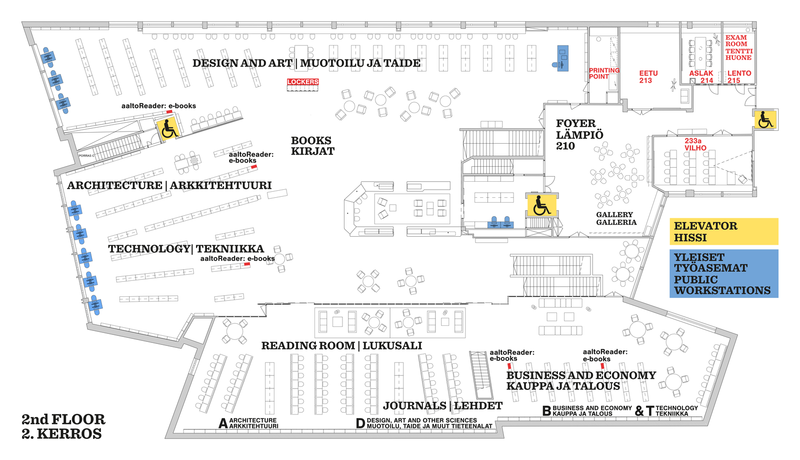 The Learning Centre holds electronic and print information resources in Aalto University's education and research disciplines. Check our resource guides when you need resources in a specific subject. These books of key areas are located on the 2nd floor of the Harald Herlin Learning Centre. 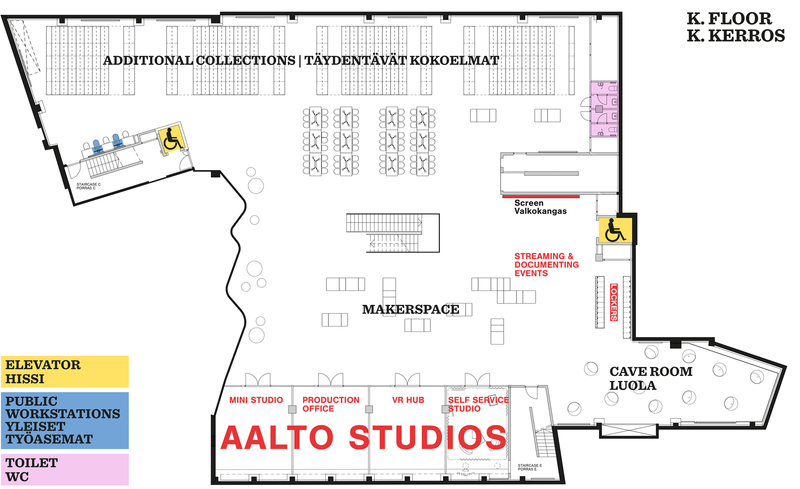 There are also some special collections, for example the Alvar Aalto Collection, and printed theses of the School of Arts, Design and Architecture. Textbook collections according to degree and course requirements of Aalto University are on the 1st floor. There is also a borrowable DVD-collection covering disciplines studied at the School of Arts, Design and Architecture in the VRC space on the 1st floor. Some additional collections are located on the K floor. 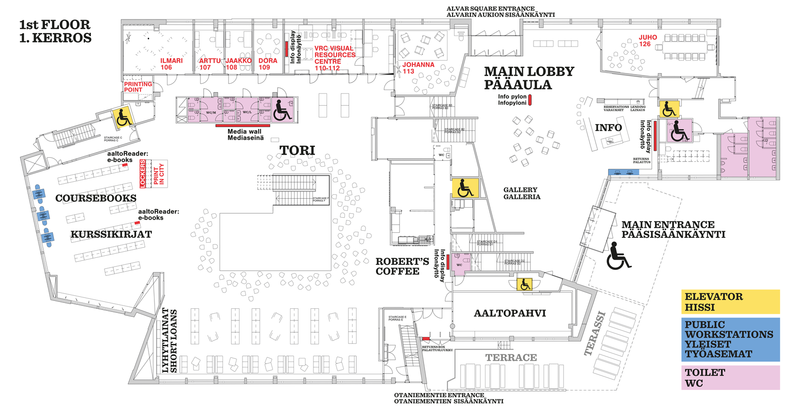 All the electronic and printed materials can be found in Aalto-Finna. The resource guides contain the essential information about information sources and advice by subject fields. Customers not affiliated with Aalto University can access the resources on the Learning Centre computers. Most electronic resources are available to all users within the Learning Centre premises.